While I don’t have access to Disneyland’s internal data, I do have access to the options used for thousands of RideMax plans which have been created since MaxPass was implemented. And yes, I believe these RideMax numbers tell a story. FastPass options available in RideMax. How many RideMax plans have the MaxPass option turned on? As shown in the RideMax screenshot above, when you create your RideMax plan for Disneyland or California Adventure, you can tell RideMax whether you’ll be using MaxPass or not, and RideMax will take this into account when it’s creating your custom itinerary. So, what percentage of RideMax plans are using MaxPass? I queried the RideMax database to find out, and for plans dated from October 1st of last year through this Friday, April 7th, I’m seeing that 48% — or nearly half — of those RideMax plans were created with the MaxPass option turned on. Okay, since this is RideMax data and not Disneyland’s own numbers, does this mean that half of all visitors are actually using MaxPass? On one hand, I could probably make the argument that this 48% number is higher than Disney’s actual number, because RideMax customers — who have invested in RideMax to plan out their days at the park — might also be more willing spend money on MaxPass than the typical park visitor is. In other words, these “planner types” are out to give themselves every possible advantage, including spending money on both RideMax and MaxPass. On the other hand though, I could also imagine someone buying MaxPass who thinks (mistakenly, in my biased view), that they don’t need RideMax, since they’ll “just use MaxPass instead.” This would argue that RideMax customers under-represent the number of customers using MaxPass. So, which is it? Are these RideMax numbers higher or lower than the actual? I’ll leave it to you to draw your own conclusions, but my own guess is that they’re at least in the right ballpark. I remember wondering back around the time that Disney announced MaxPass if it would get much traction given the cost. 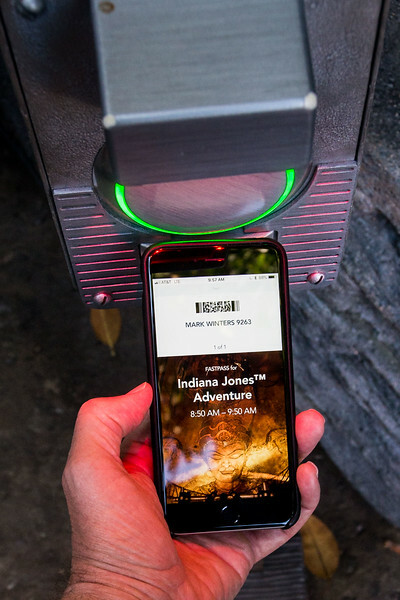 Would people really be willing to spend money for some extra convenience in collecting FastPasses? The numbers seem to indicate that they are. What are your thoughts on MaxPass? Have you used it? Did you find it worth the cost? Leave your comments below! I love MaxPass. For our family, it’s so much better to be able to select FastPasses from the app rather than having to ditch my wife with our 2 young kids so that I can be the runner. Also, we love getting pics taken by the Disney photographers, so it’s worth it just based on that aspect alone. Yes, Stephen, there are advantages to MaxPass even if you’re not visiting on a day when it’s all that advantageous in terms of reduced wait time. Saving that extra walking is definitely a plus. Which Fastpass option does RideMax default to? I think you could be getting skewed data with people who don’t touch those settings. As usual, you raise a good point Mike. I went back and double-checked the code here, and for a customer creating plans for the first time, RideMax defaults to using regular FastPass (no MaxPass), with the “FastPass runner” option turned ON. It also assumes that the runner is willing to skip any attraction while off gathering FastPasses for the group. The final scenario is that if someone has created a RideMax plan for Disneyland but not yet for DCA, and then starts creating a new plan for DCA, RideMax will default to using the same FastPass settings used by the Disneyland plan, with minor differences (i.e., the list of runner-skippable attractions). So, I guess I’m saying that for a plan to go into the RideMax database with the MaxPass setting turned ON, it had to have been intentionally set that way by the customer at some point. Perhaps there are cases where it was left ON unintentionally (someone experimenting with plans and not paying attention to the new defaults), but it seems like it’s still a high enough hurdle to lend some validity to the data. Marie, I think there are a lot of folks like you, who once they try MaxPass, really like it (myself included). I think if someone is vacationing at Disneyland and is on the fence regarding MaxPass, they should buy it for the first day of their trip and see how they like it. They can then decide if it’s worth buying for the rest of the vacation or not. Next Next post: Animal Kingdom RideMax Plans? It’s Time to Recalculate!